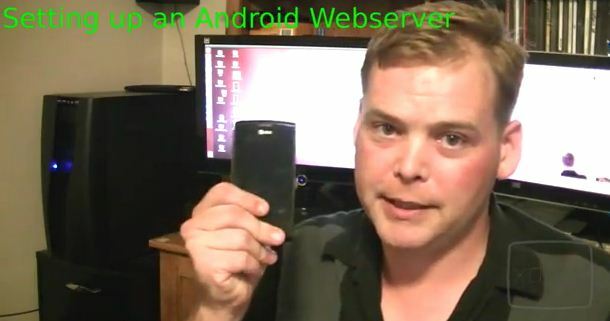 Today’s XDA TV video shows XDA Elite Recognized Developer AdamOutler setting up a better http://AdamOutler.com with an Android device. He replaces his old ARM V7 CORTEX M3 Texas Instruments Eval-Bot web-server with a newer ARM V7 CORTEX A8 Samsung Captivate. AdamOutler shows a neat use for an old Android device. Additionally, he attempts to explain beginner and intermediate networking concepts in a simple way. The web server used in this video is the standard Linux Lighttpd package obtained from the BotBrew Basil repository. This lightweight and flexible web server can power any client-side processing site. Check out the Samsung Smart App Challenge 2012!